No one expected the Cleveland Cavaliers to put up as good a fight as they did in Game One of the NBA Finals last week. They still lost, so it was only a moral victory. But it gave NBA fans a reason to hope that the series would be more competitive than initially expected. But then Game Two– and Steph Curry– happened. It was a close game in the first quarter, but heading into the second, the Warriors held a four-point lead, 32-28. 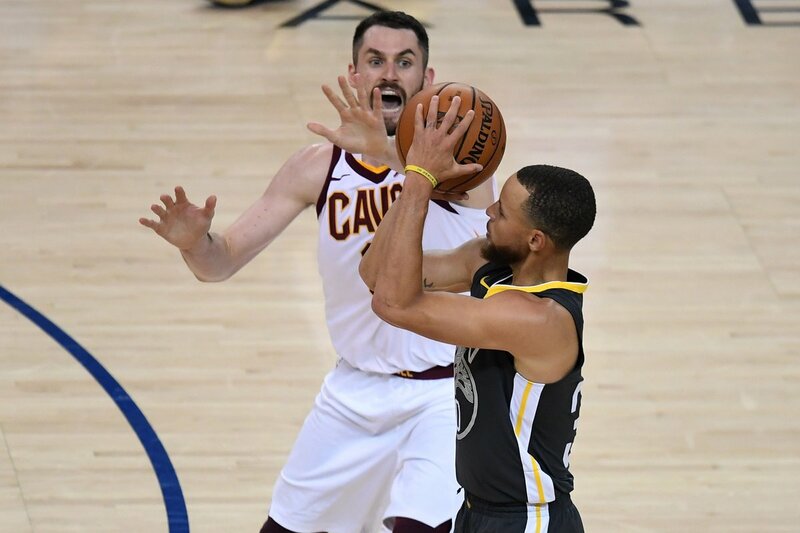 The second quarter wasn’t nearly as competitive as the Warriors outscored the Cavaliers by nine, 27-18, to take a 13-point lead into halftime (59-46). Both teams have been known to make their move in the third quarter. Cleveland needed to in order to get back in the game. While they didn’t have a bad quarter, they had a slightly better quarter than the Warriors (34-31). But heading into the final quarter, they were still down by ten. LeBron James did his best to pull the Cavs within reach of the lead. But whenever he’d gain some ground, the Warriors would just add on more. Cleveland got within seven early in the fourth, but never really threatened. 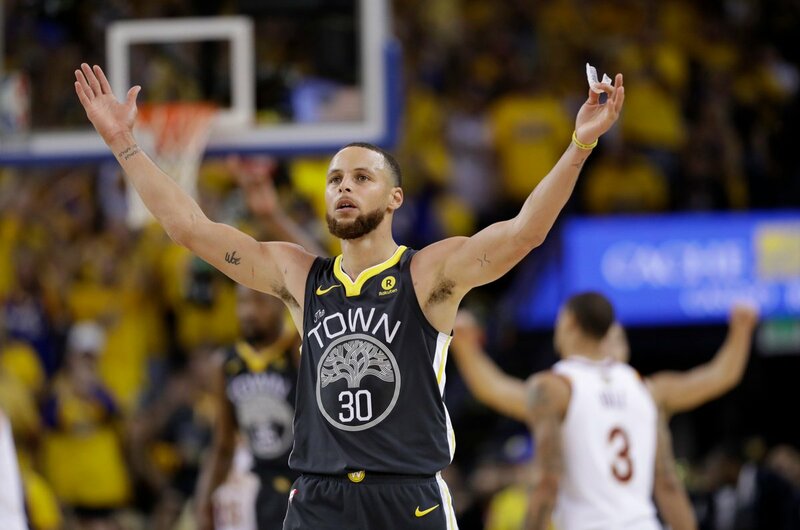 So, with Steph Curry hitting an NBA Finals record-setting number of three-pointers (nine), the Golden State Warriors led wire to wire and won Game Two with ease, 122-103. The previous record holder was Boston Celtics legend, Ray Allen, who had eight back in 2010. “It’s a pretty cool deal to accomplish knowing whose held the record,” Curry said after the game (ESPN). Curry finished with 33 points, eight assists, and seven rebounds on the night. His 17 three-point attempts set another NBA Finals record (the previous record for attempts was 15). Kevin Durant rebounded from a poor shooting performance in Game One (8-22) to go 10-14 from the floor for 26 points. Klay Thompson had a good night as well hitting eight of his 13 shots for 20 points. LeBron James did his best to carry the Cavaliers once again. He was one rebound shy of a triple-double (29 points, 13 assists, and nine rebounds). He got a decent amount of help from the rest of the team. Kevin Love had another double-double with 22 points and ten rebounds. George Hill had 15 and Tristan Thompson chipped in 11. J.R. Smith didn’t have any significant blunders this time, but the Golden State crowd made sure he felt appreciated. They gave him a standing ovation during pre-game introductions and chanted,” M-V-P!” when he stepped up to the free throw line early in the game. This game was more of what fans were expecting in Game One; Golden State dominating from the start while LeBron James made a valiant effort to keep it respectable. The series will now move to Cleveland for Game Three Wednesday night at 9 PM ET. Golden State has started out as a 5.5-point favorite.